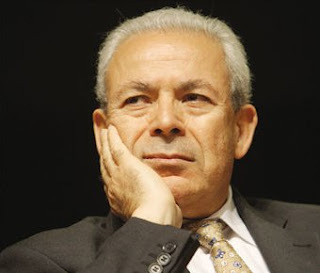 Burhan Ghalioun, the first elected chairman of the Syrian National Council (SNC), a dominant component of the umbrella Syrian Opposition Coalition (SOC), is dismayed by the latter’s failure to expand its membership and elect a new leadership after seven days of meetings in Istanbul. What happened in the week of 23-28 May in Istanbul is a manifest tragedy that has shamed the Coalition and defamed the Revolution. The Coalition’s job is to mobilize political, relief and military aid for the Revolution and the blighted population. This means bringing together the largest number and assortment of forces supportive of the Revolution, whether they are Syrian or allied forces that can get behind it. The Coalition is not a parliament meant to represent those at home or overseas. What cripples the Coalition to date is the tug-of-war between groups and alliances seeking to control it by trying to secure a bigger share of representation. The end result was that the Coalition spent all its time bickering over seats, positions and illusory presidencies. This kind of squabbling has led to developments that transformed the Coalition. Instead of being a tool to hem in opposition forces, the Coalition turned into a hotbed of tension driving them away. Instead of being a tool to drum up support and build Arab and international alliances, it came to be a means to tear apart these alliances and strain relations amongst countries endorsing us and wasting their endorsement. In such a situation, independents like ourselves who do not belong to any rival parties and blocs or brawl to improve their groups’ positions, and have no concern other than to serve the national cause, sit on the sidelines. They are left with no task other than to reconcile feuding blocs and groups or watch them faceoff. Our work in the Coalition thus becomes contrary to what is expected of us. Instead of mustering support, we have come to spend most of our time and resources trying to put the Coalition house in order, solve disputes and deflate tensions. We are left with no time to address the core issue that brought us together in the first place. This state of affairs is unbefitting for us and should not go on in any way. It is unlikely or unacceptable for the Coalition’s Executive and General Assembly sessions to remain open-ended for the sole purpose of co-opting new members. This, when the Coalition needs to be working day and night to meet the military, relief and political challenges facing the Revolution and the Opposition. The starting point in any reform is to ban and bury power struggles in the Coalition. The sine qua non for this is to disallow blocs and not to submit to, or go along with, their logic. Instead, Coalition members would become evenly matched as individuals representing themselves. They would vote according to their conscience, thus shutting out any demand based on the logic of quotas, power balance adjustments or rat races. Instead of the Coalition sanctifying apportionments, quotas and bloc chieftains massing followers, the Coalition should draw on revolutionaries and activists from all revolutionary and opposition forces capable of fulfilling the Coalition’s obligations. Those obligations are to defend the Revolution’s principles and whip up all manner of support from all around so as to fulfill the task at hand.